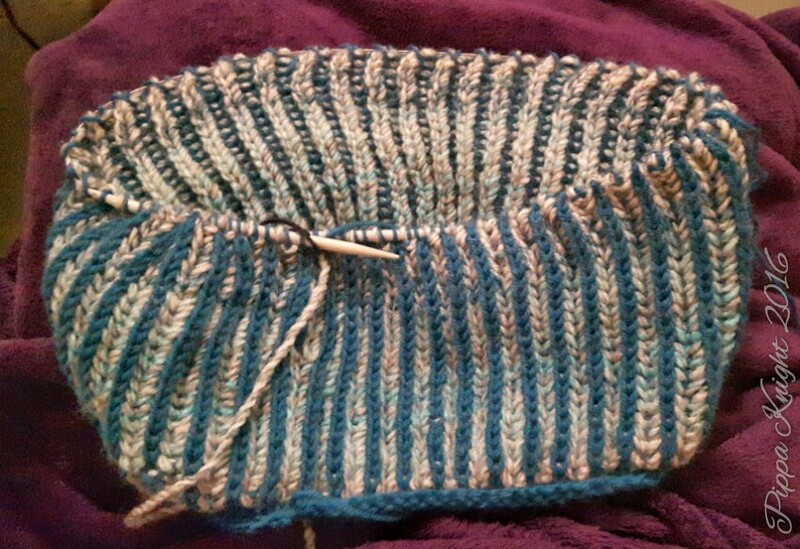 I cast on 90 stitches in the plain blue and knit 4 rounds, I then joined the variegated yarn and knit the brioche stitch, I used the tutorial from Purl Soho for how to do it. I knitted 5 rounds of straight stockinette stitch then joined the variegated yarn into the mix and then knitted 28 ’round’ one round in each colour. At the end I knit 5 rounds of colour B then cast off using Icelandic cast off.